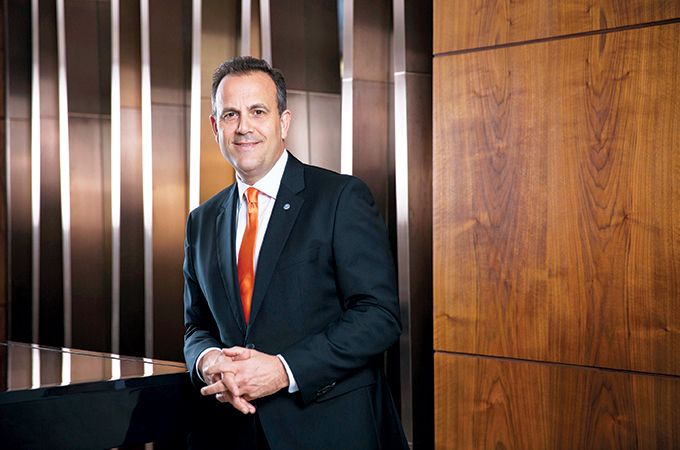 AS one of the leading hotel management companies in the region with properties across the Middle East, Africa, and Turkey, the industry is always anticipating the next move from Rotana’s ever-expanding approach. True to its brand promise, Rotana has signed two new hotel management agreements to further strengthen the company’s presence in the home region and expand its footprint into Europe. Marking its latest offering in Dubai, Rotana is now officially managing Cayan Tower, the ninth tallest residential high-rise building in the world, under its ‘The Residences by Rotana’ brand. In addition, the company will operate Bosmal Arjaan by Rotana in Sarajevo, the capital of Bosnia and Herzegovina, to make its foray into Southeast Europe. Situated on a prime location in the Dubai Marina district, the Cayan Tower features 490 and 7 retails spanning 73 floors of the award-winning skyscraper. The awe-inspiring architectural wonder with a dynamic twisting shape spirals in a smooth curve by an astonishing 90 degrees to give every apartment a stunning view of the Arabian Sea or Dubai Marina. The property brings Rotana’s existing portfolio of properties in Dubai to 14. Strategically located at the Bosmal City Centre complex in the capital city, Sarajevo, Bosmal Arjaan by Rotana will be the second tallest residential tower in the Balkans region when it opens by the end of 2018. Managed under the ‘Arjaan Hotel Apartments by Rotana’ brand, the property will feature 130 two and three-bedroom units, in addition to a gymnasium, two indoor pools, a sauna, a Turkish bath, and multiple treatment rooms. With the opening of the elegant and contemporary hotel, Rotana will increase its portfolio under “Arjaan Hotel Apartments by Rotana” brand to 3,143 rooms.